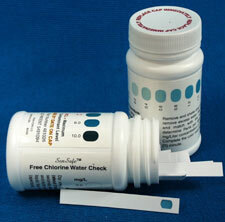 Pesticide contamination in water can become dangerous to your health, may cause neurological damage which impairs childhood development, and is related to animal deaths. 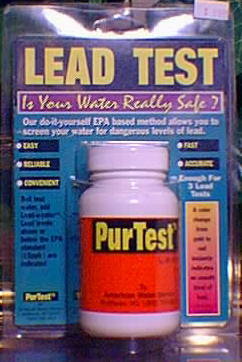 PurTest(r) is simple and easy to use, and provides fast, accurate results. 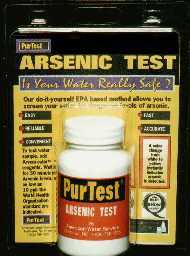 PurTest(r) detects the largest number pesticides of any test now available. 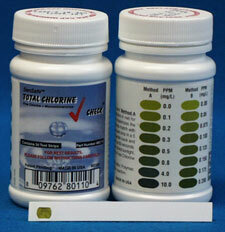 it will detect triazine elements, down to 3ppb (parts per billion), in less than 8 minutes. 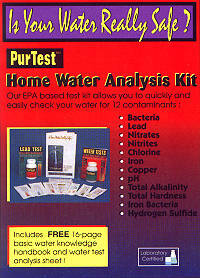 The PurTest(r) Home Water Analysis Kit is accurate, reliable, and convenient. 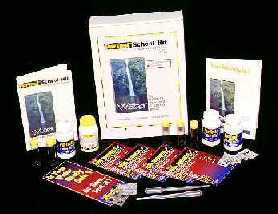 Used and tested by health departments, utilities and inspectors. 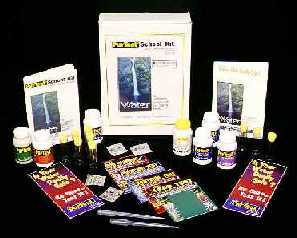 Includes a 16-page basic water knowledge handbook and water test anaylsis sheet. 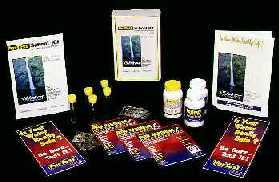 This kit allows you to screen your water for 25 elements easily right at home; there's nothing to mail in and no additional lab fees.